Beaches are a place where people can gather for just about any occasion. 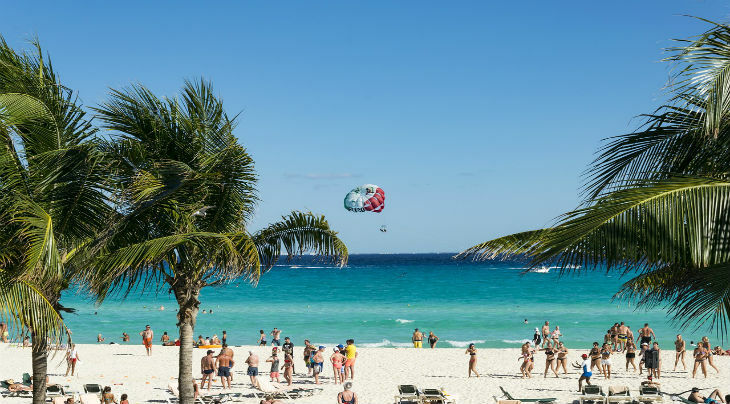 Whether for business or school meetings, social gatherings, friendly hangouts, dates, or even just a place to walk the dog, the beach is available to everyone. The sandy shore and rolling waves allow people to enjoy everything from water sports to sunbathing or simply napping, sitting on a blanket, or talking with someone. Some of the most obvious activities people do at the beach are playing in the water or hanging out on the beach to get a tan. Sports such as surfing, swimming, wakeboarding, and jet skiing are all possible choices for having fun in the water. Sunbathing can be done anywhere from a towel on the sand to a pool lounge in the ocean. All these choices are fun and can even be a form of relaxation for a lazy day at the beach. Walking or taking a ride on a beach cruiser are also fun ways to enjoy the beach. A leisurely stroll along the shore allows beachgoers to admire the beauty of the ocean and breathe in the salty air as they stroll past it. Riding on a bicycle designed specifically for the beach allows riders to enjoy the same sights and thrills of the beach while providing adequate traction while biking in the sand or along a bike trail. Some beaches offer the excitement of boardwalks. A boardwalk is essentially a small walkway that was built on the ocean or shore that offers carnival-style rides, restaurants with a view, gift shops, and arcades. But if extending your stay on the beach after dark is more desirable, having a bonfire is also a fun activity. A bonfire is a good excuse to tell ghost stories, camp out, and roast some marshmallows. There are many ways to spend time at the beach and for beachgoers enjoy your time there. Some people enjoy flying kites, scuba diving, or searching for seashells or hermit crabs, while others simply enjoy the sound of the ocean as a background noise while they read or relax. Regardless of the reason, going to the beach is always a fun and exciting experience, just be sure to pack plenty of sunscreen!